Not subscribed yet? Sign up today! 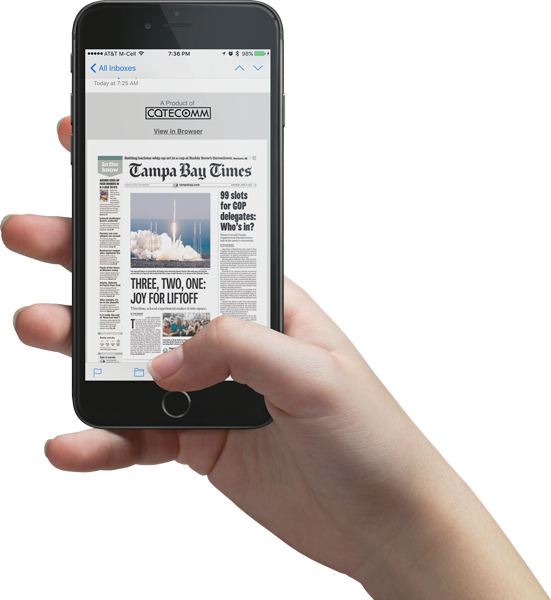 Every day, millions of Floridians consume the news through the front pages of local daily newspapers. Each morning, we collect the front pages of these newspapers available online and deliver them to you beautifully via email by 8:00 a.m. A quick scan of these front pages will tell you what news is most important and provide you hyperlinks to newspaper websites. More than 3,000 of Florida's most influential politicians, news editors, reporters, advocates, and newsmakers currently subscribe.